My hubby is a simple guy with few and basic belongings. When we moved to Jakarta most of the shipment was mine (about 90%). So it’s not that hard to clean up after him. Except for his work stuff. He brings a lot of work home and goes to many conferences and meetings. Which means tons of documentation papers and also tons of IDs, which he likes to keep as souvenirs. They have been all over the place – some in the office, some here and others hanging there. They really are quite an eyesore! Gaah! So we gathered what was here at home in one of my endless containers and it looked like this. I finally figured out what to do with them when I encountered this post in the iHeart Organizing blog! Below is my inspiration from the post! I don’t have a cute box yet but my plastic box will have to do! Boxes are insanely expensive here so I refuse to buy em! =P Perhaps one day I’ll do it myself! LOL. How did I do the sizing you say? Like iHeart Organizing I just inserted the finished on Microsoft Excel and then did a test print. Cut out/fold the test print and tested it inside my container. 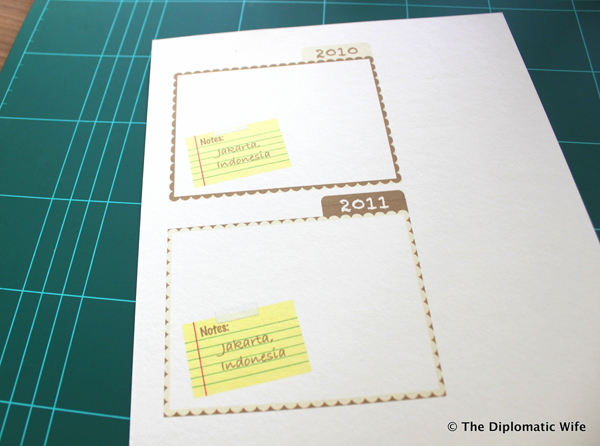 I made sure it was half a cm smaller on all sides so that I can laminate these tabs. There was a lot of trial and error going on – “tedious” was what iHeart Organizing called it – but I’m happy with the results! 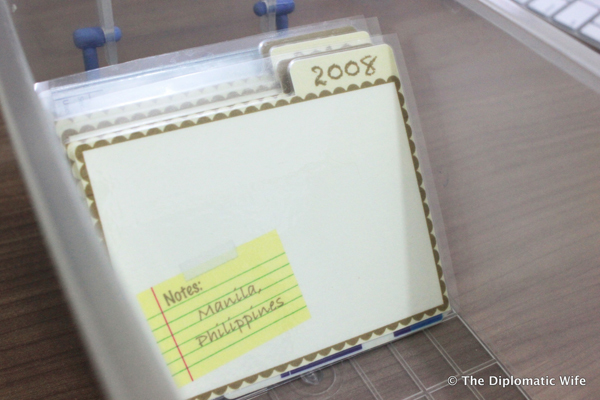 Laminated tabs inside the plastic box. Notice how little space the IDs take up now! I also added earlier years and others for IDs I no longer use but would like to keep. How about you? 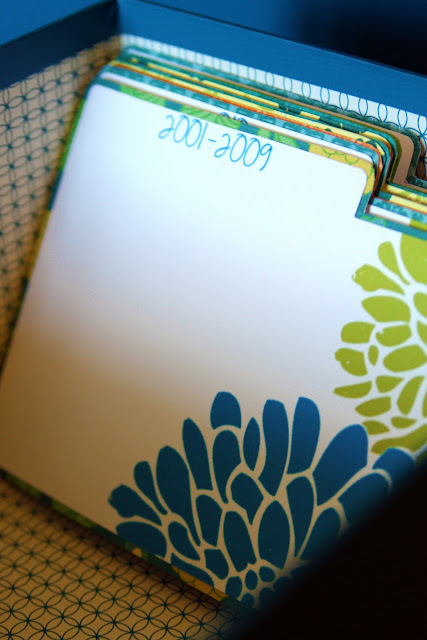 Do you keep old ID’s as souvenirs? How do you organize them? I’d love to hear it! 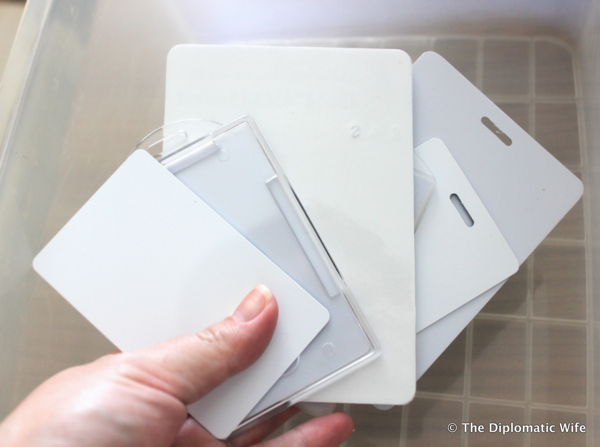 Remember the ID lanyard holders or ID strings (See topmost photo) I removed from the IDs? I had about 50 of those! I had 2 options, to donate it to public school kids or to donate them to our building admin for the staff to use with their staff ID. I asked our building admin first and they gladly accepted them. These ID lanyards/string go for Rp 25,000 or USD 2.50 each at Ratu Plaza. Can you believe? 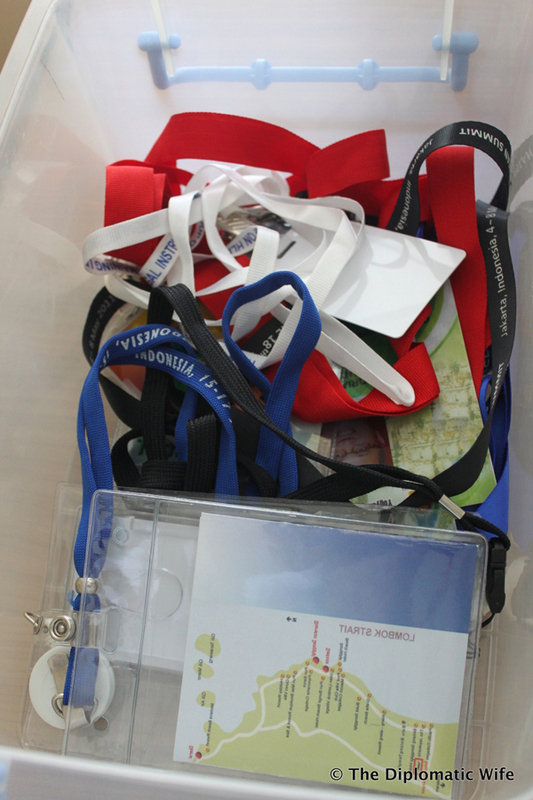 So if you have lots of these lanyards or ID holders give them away to people who might use them instead of throwing them away.